Want to sell a theme on Bootstrap Marketplace? Our platform is an amazing way to grow your business or start a new one! A summary of your Bootstrap experience. 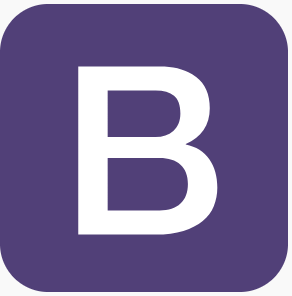 We want to know what you've built with Bootstrap! Please give us a little context for each project and include links. We're happy to check out both public and private examples – your shared links won't ever be shared beyond our review team. Examples of your Bootstrap code. Ideally, we'd love to see the source behind a couple Bootstrap projects you're proud of. Feel free to send us .zip files, Github repository links...whatever is the easiest way for you to share your source code. Examples of design work. If you weren't the designer for the above code examples, we'd love to see examples of your design work (or, if you plan on working with a designer, examples of their work). Again, these can be links to live projects, portfolio links...whatever helps us understand the your design experience. What you want to sell on our platform. If you want to design and build a new theme, send us a proposal of what you want to build. We prefer an initial set of designs (even if they are rough) or a coded example, but are open discussing a concept that hasn't gone through design just yet. If you have existing theme you want to sell, send us a link to download it and explain why you think it fits on our platform. Other relevant work you'd like to share. This is an open ended place to share additional work with us that wasn't covered in our other questions. Perhaps you have some non-Bootstrap project you're particularly proud of – show it to us! Anything that shows off your relevant skills! Where we can find you on the web! Any other information you'd like us to know. We'll review your application and reply to ask for additional information, let you know we don't believe your experience is a good fit for our platform, or, hopefully, send you a link to create a seller account! Once you have a seller account, you can submit your themes and start earning money!